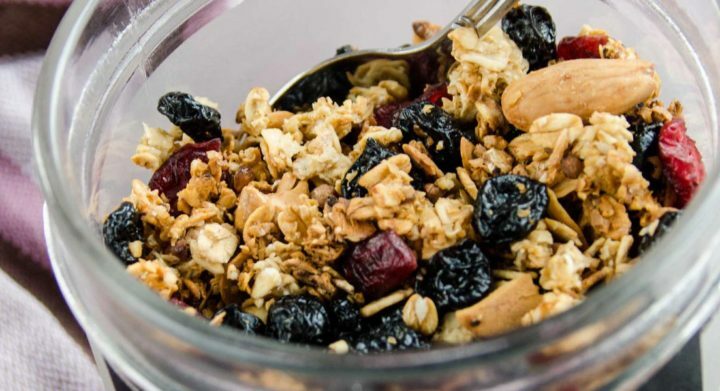 Granola is a mixture of cereals, raisins, nuts, dried fruit and sugar (or honey), baked until crispy. It is served with milk or yoghurt for breakfast. It can also be used as an ingredient in cakes, desserts and chocolate bars. 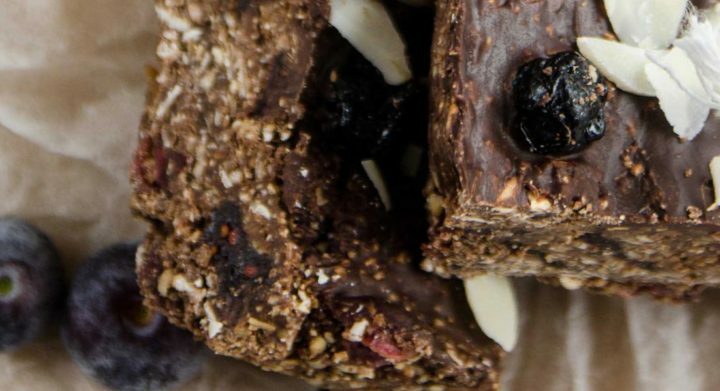 Our chocolate bars do not contain gluten, milk (lactose, casein) or eggs. It is a fully vegetable-origin product, a perfect supplement to vegetarian and vegan diets.